About a month ago I wrote a post about how I’d be taking the 7-Day Cherry Challenge with Cheribundi. Well, I’m sure you’re sick of hearing this excuse, but travel, moving, new job, blah, blah, blah, and here we are (much!) more than 7 days later and I’m just getting around to sharing my thoughts on the challenge – and a giveaway! 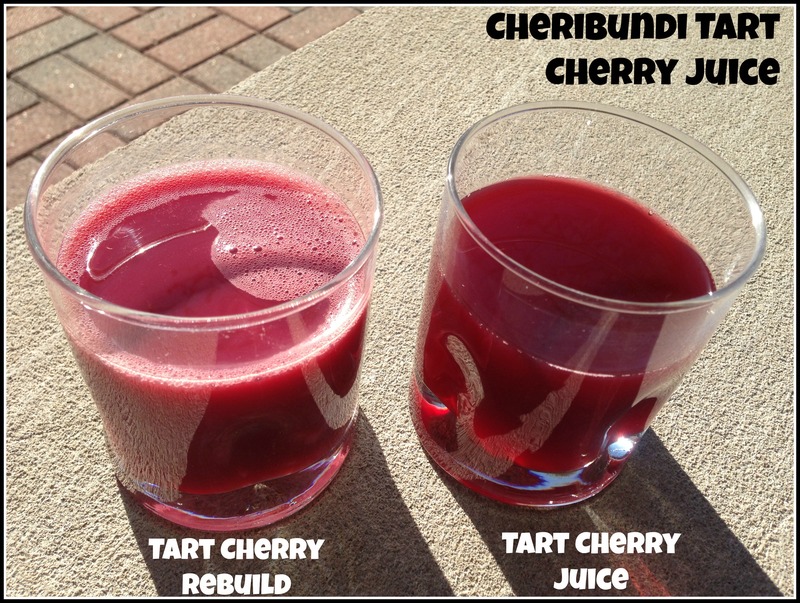 The Tart Cherry Juice, Light, Relax and Restore all look like the sample above on the right, the only one that looks and tastes a little different is the Rebuild which is slightly thicker due to the added whey protein. All are very light and refreshing (especially if they’re nice and cold!). I have to admit I am TERRIBLE at remembering to do things daily, so I drank the cherry juice for 2 days, then of course missed a day – oops! Since it’s important for the cherry juice to be in your system for a few days to start working it’s magic, I decided to start the 7 days over. After that I managed to get 7-days straight! Ummm, lightbulb! Apparently the cherry juice had been working it’s anti-inflammatory magic and I hadn’t even noticed until the pain started to come back! So are you ready to try some Cheribundi? 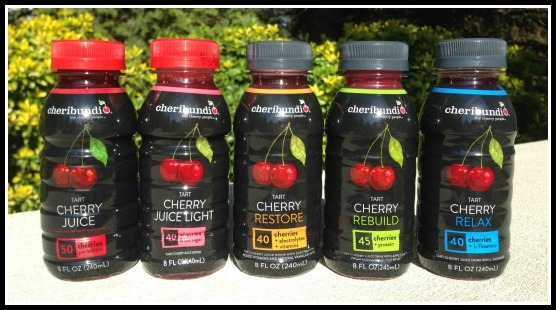 Here’s your chance to win a free case so you can take the Cheribundi 7-Day Cherry Challenge and see what cherry juice can do for you! This giveaway will be open until Friday, September 19, 2014 at noon EST at which time a winner will be randomly selected and notified. **Giveaway is open to US residents only. For more information on Cheribundi you can visit their website at http://www.Cheribundi.com. P.S. 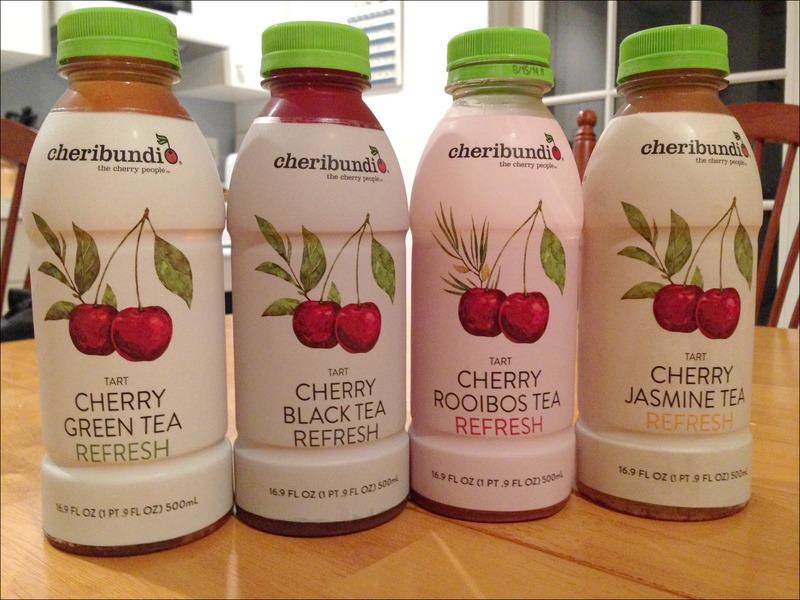 – I was also recently given the chance to try the Cheribundi Refresh products…oh my goodness…SO GOOD! These have a more subtle cherry taste and are incredibly refreshing, I can’t get enough of the Cherry Green Tea one! I love dried cherries and I do think they helped my runner’s knee a few years ago. I have no idea if it’d help my injury now but I may be tempted to get them again. I’ve signed up to do the 7 day challenge! Thanks for sharing! Ooh, yay! I wanted to see how you felt after doing the challenge. I’ve been drinking the restore after long runs I’m terrible at remembering to do things daily too. I signed up for the challenge! 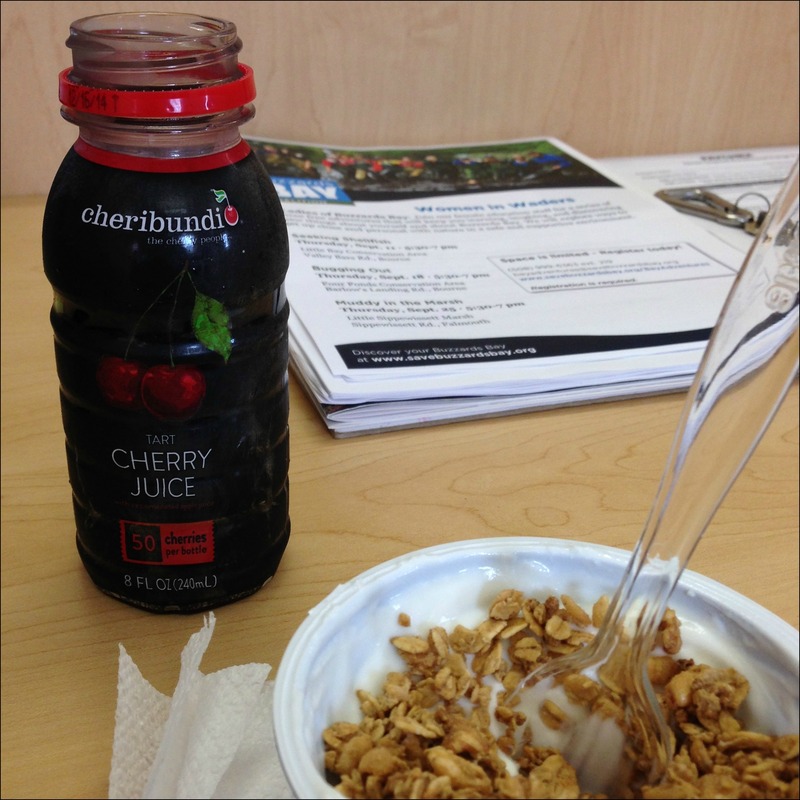 I also follow @cheribundi on twitter!